Thoughts on many things – Page 62 – Ramblings, ideas, problems, and solutions. So, I finally bought a new computer. It’s a pretty smooth bit of kit if I might say so. It’s a HTPC, with a 3GHz CPU and 4GB RAM. It also runs Windows Vista Ultimate, and is my first real day-to-day encounter with said OS. The computer arrived at my place a little more than a week ago. Setup was quick (quicker than the setup of a preinstalled Windows XP machine) and simple (simpler than the setup of a preinstalled Windows XP machine). It boots quickly (well, it’d better with the amount of CPU and RAM I got for it), and seems stable. 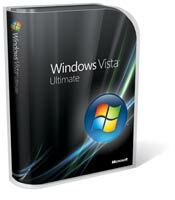 I went for Vista Ultimate, because I wanted all the bells an whistles of Vista, and so it seems I have got. First off, is visually very appealing. Windows Vista is pure eyecandy, no doubt about it. When that’s said, most of the tips, tricks and hotkeys I know for Windows XP Professional, seems to work in Vista as well. I’ve had a problem with the mousepad on my laptop getting “jumpy”. Whenever I’d use it, and subsequently take my finger off it, it’d jump an inch and a half or so upwards to the right. This was annoying to say the least, and I decided to try and find a solution to it. I’ve only tested this solution with Synaptics mousepads, and so I can’t vouch for whether it’ll work with others.